Is it possible to survey on concrete or exposed hard rock surfaces without drilling? At this particular station (pictured below), the electrode position was an out crop of crystalline rock. 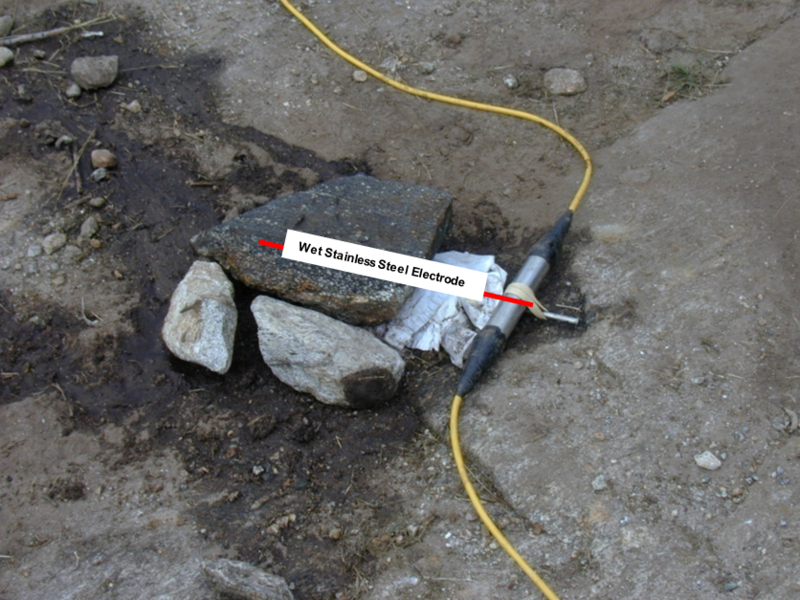 Instead of being forced to skip this electrode position (which is possible in the SuperSting™ Menu 6), sufficient electrical coupling was achieved by using an absorbent material soaked in salt water (absorbent pack or bentonite clay) to keep moisture in place during the survey. In this case, the instrument was able to send out ~20 mA through this electrode which is more than sufficient to achieve a good signal to noise with the SuperSting™ receiver.